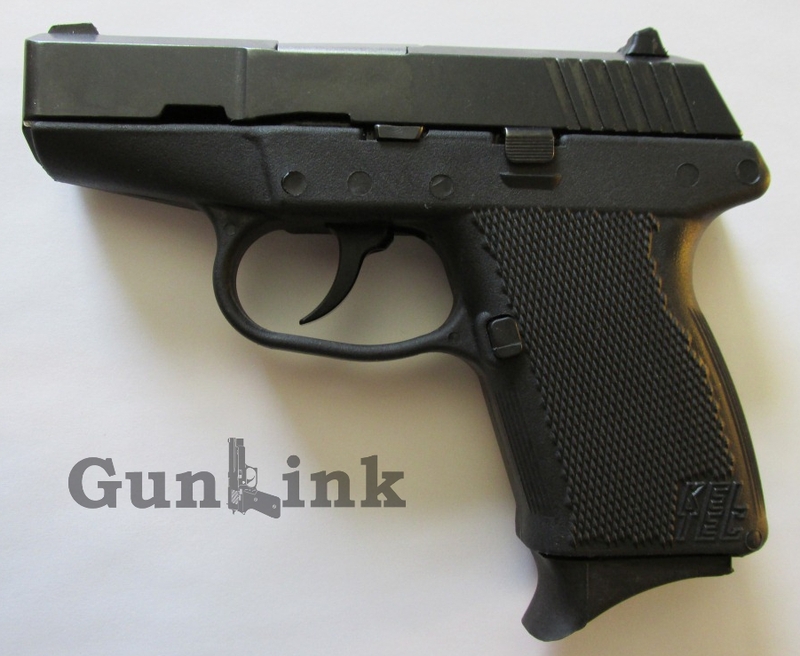 Kel-Tec pistols are wildly popular for concealed carry and personal/home defense. According to ATF reports, Kel-Tec has produced an average of around 110,000 pistols per year for the past five years year (130,000 in 2009 alone) placing them solidly among the top manufacturers. Their USA-made pistols are available in a variety of calibers, each coming with a lifetime manufacturer's warranty. A Kel-Tec representative couldn't give us exact numbers but said that most of their pistol models are "pushing or over a million already." Not bad for a relatively young company that started manufacturing firearms in 1995. However, along with these large numbers there are also a number of common complaints about the pistols. Some of these gripes include being uncomfortable to shoot, not being built to last, having a break-in period and FTE issues. After debating the purchase for at least a year and trying to choose between their two popular compact 9mm models, the GunLink crew picked up a brand new Kel-Tec P-11 – the fatter double-stack big brother of the single-stack PF-9. In this thread, we're going to check out the pistol, see if we encounter any of the issues and optimize it for carry. Think of this thread as a glorified, interactive review of the pistol combined with a how-to guide and reviews of accessories and upgrades. 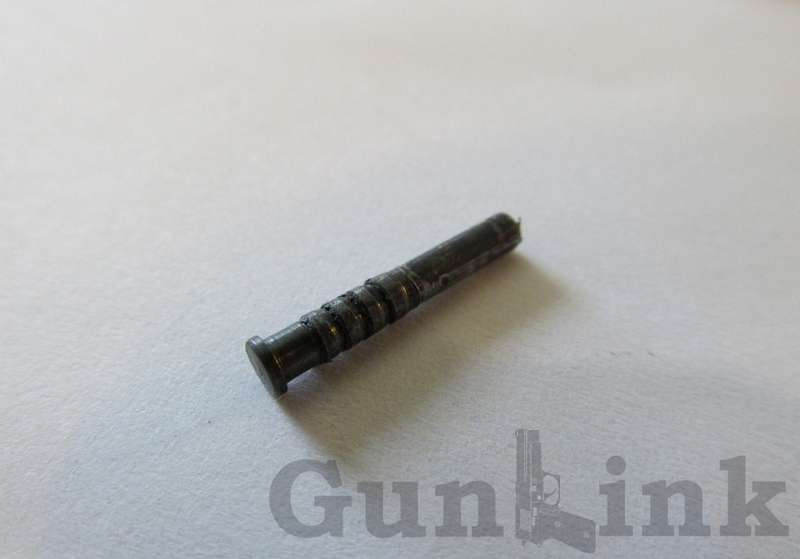 When it's all over, we'll also post an article on the GunLink Blog about the process and the results. If you have experience with Kel-Tec pistols feel free to weigh in in this thread with what you think of them, how you have used them, any modifications you may have made and any other type of review. We'd love to hear your suggestions. Don't forget that you can also leave reviews of Kel-Tecs or any other firearms in the reviews section. After unboxing and thoroughly cleaning it, we got the new pistol out to our test area and put around 120 rounds downrange. Of the shots fired during our range outing, the mechanical operation of the P-11 was fine with the exception of two failure to eject (FTE) malfunctions. We suspected that the first FTE was caused by "limp wristing" the pistol (likely due to focusing on sight issues, see below) and the second malfunction happened while deliberately limp wristing it to confirm our suspicions. This part was a bit surprising and took a few shots to figure out. Shooting at a target 3.5' off the ground from a distance of approximately 15 yards, we weren't even on paper (how's that for an ego booster? ). After making sure it wasn't a squib load and that the barrel was clear, more rounds were fired. After a few shots, we noticed mud splattered on the target stand - the rounds were hitting the dirt in front of the target with the front and rear sight dots horizontally aligned on the target! Using a fair amount of hold-over, we got our shots on target and found that, although the accuracy was horribly off the mark, precision seemed to be fine and the pistol grouped well. After the range session was over, I did a little bit of research online and found that this seems to be a somewhat common issue and some people suggest that the Kel-Tec P11 requires a "non-traditional" sight alignment with the bottom of the front dot even with the top of the rear sight. Finding the idea of having one pistol that requires a different sight picture than the others in the corral unacceptable I contacted Kel-Tec Customer Service, who confirmed that the sight picture should, indeed, have the usual alignment. Kel-Tec sells a sight kit for the P-11 (PN P11-155) that includes different height front and rear sights, so we have one of those on the way that should hopefully fix the issue. A frequent complaint about the double-action only (DAO) Kel-Tec pistols is that they have a long, heavy trigger pull. Our shooters didn't find the 8.5# pull excessive, particularly for a pistol with no external safety mechanisms. The pull is, however, is long with about 1/8" pre-travel and quite a bit of over-travel after the trigger breaks. Additionally, the polymer trigger has a sharp curve to it with some very slight side-to-side travel, although not really enough to notice while shooting. Another somewhat-common complaint about the trigger is it's propensity to pinch the trigger finger between the trigger and either the top or bottom of the trigger guard, especially for shooters with large hands/fingers. I have large hands and didn't get pinched, but after shooting up a box and a half of ammo, I did have a raw spot on the bottom of the first knuckle of my trigger finger. After the range session, with the pistol disassembled for cleaning, we could clearly see where the wear points on the pistol would be - mainly on the slide/hammer interface with additional slight rub marks on the slide/frame interfaces. Disassembly for regular maintenance and cleaning is simple, with the assembly pin pulling out with the rim of a cartridge or screwdriver. Complete disassembly involves a bit more work, including driving out frame pins with a punch, relieving hammer-spring tension, etc., but this should not be required often, if ever. With the finish worn from the slide/hammer interface, circular CNC machining marks could be seen on the slide. Although they did not seem to cause any operational issues, these were removed with 400 grit wet/dry sand paper and then polished with a felt wheel and polishing compound. The feedramp was also polished "just in case" despite having negligible feeding issues. At reassembly, the obvious contact points mentioned above, along with the trigger bar, got a dose of grease. Reassembly is pretty much the reverse of disassembly but has a catch that can make it a little tricky. 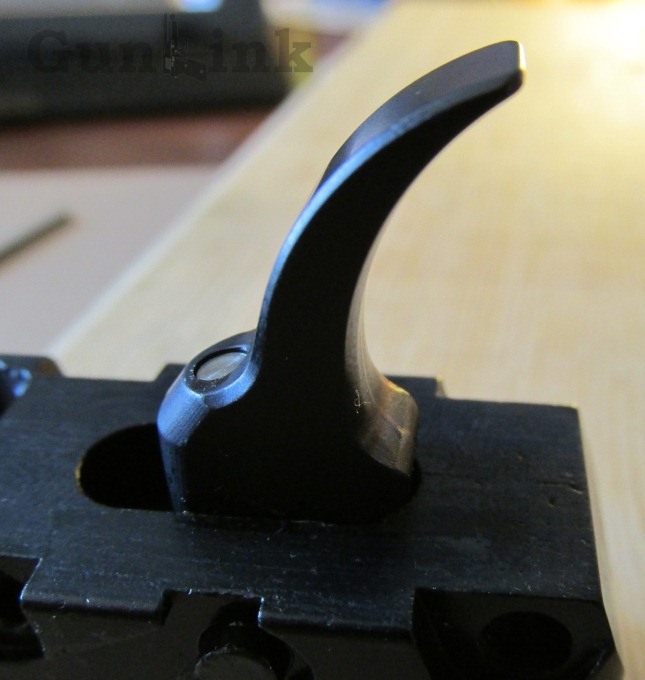 The polymer guide rod needs to be kept centered just right or it can catch on the frame, which keeps the barrel from moving forward enough for the assembly pin to pass through the barrel lug cut out. The face of the guide rod on our test pistol appears slightly "chewed up," it is unclear whether this roughness has anything to do with it hanging up. Kel-Tec sells a steel guide rod but, based on some research and conversations (including with Kel-Tec representatives), we are opting out of this as an upgrade. We do, however, have a replacement polymer guide rod en route to us. Given the small size and light weight of the P-11, we have seen some reports of fatigue or sore hands after a shooting session. With the round count that I put downrange, I didn't experience either. The P-11 is, however, a compact pistol and feels a tad small in my large hands. On one final point, we did notice that a "hiccup" could be introduced when inserting the magazine. Under normal circumstances, the magazine inserts easily, seats fully, locks securely and drops cleanly when the release is pressed. 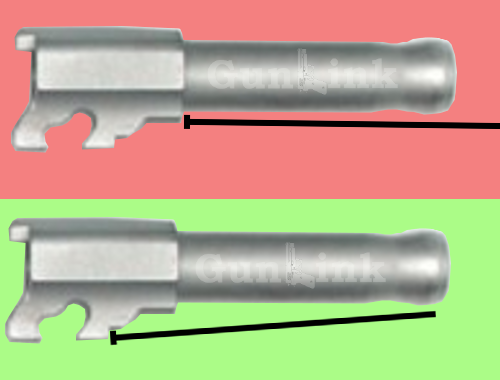 However, if the bottom of the magazine is pushed forward toward the front of the pistol while inserting it, the top of the magazine can be moved ever-so-slightly rearward into the hollow rear portion of the grip (where the hammer spring lives), which can cause the sharp top-rear edge of the magazine to catch on the bottom edge of the frame (about an inch from being fully seated). 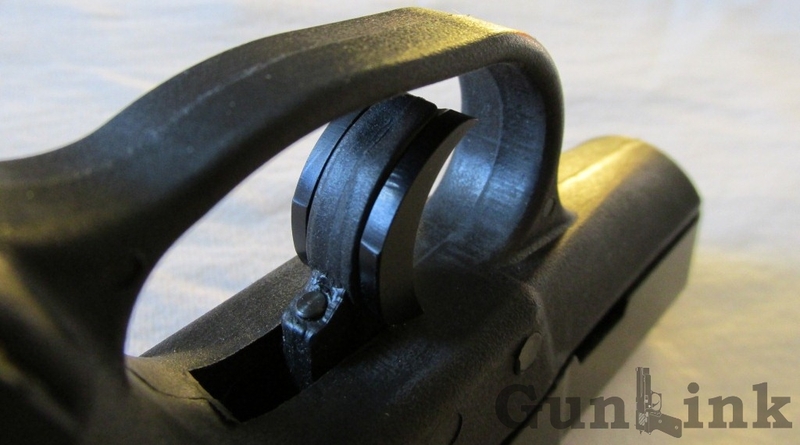 Pressing harder, giving the magazine a little wiggle or, even better, no jamming the magazine forward during insertion solves this, but it is definitely something to note if you might one day use the firearm for self defense and need to do a heat-of-the-moment (re)load. 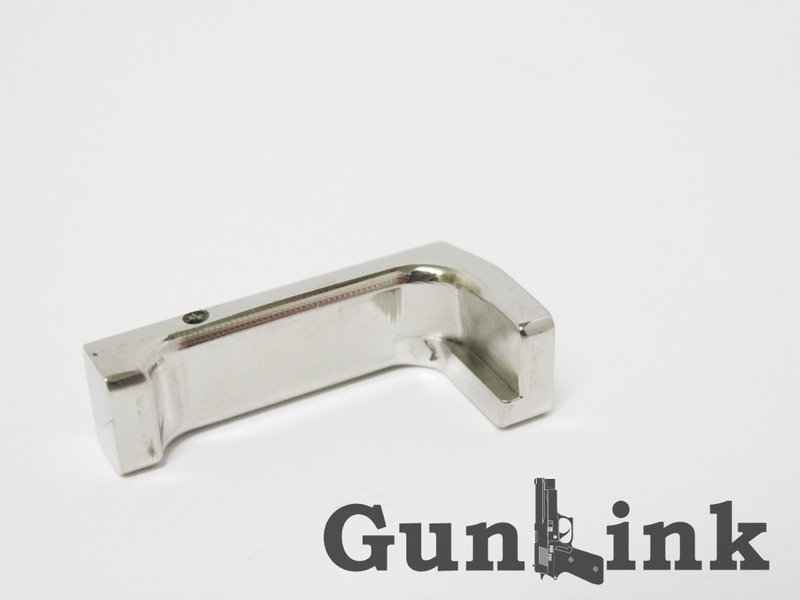 Slightly beveling the bottom edge of the frame or the top edge of the magazine might work if you have issues with it, but a gunsmith should be consulted before making any modifications to your firearm. Throughout the course of our initial shooting sessions and investigating possible upgrades and improvements, we exchanged an number of communications with Kel-Tec customer service. Customer Service was notably polite, friendly and helpful, providing information, comments and parts to help with our project. Between customer service, the lifetime warranty, the price and the first impressions with the P-11, Kel-Tec so far seems like a great company to deal with. Next up for the pistol is to get the new sight kit installed to correct the very low POI and install the replacement polymer guide rod to see if the cleaner face helps with the reassembly process. After making sure that the POI vs POA issues are resolved to correct the accuracy, we have something in the works for the trigger to (hopefully) further improve accuracy, precision and trigger pull. 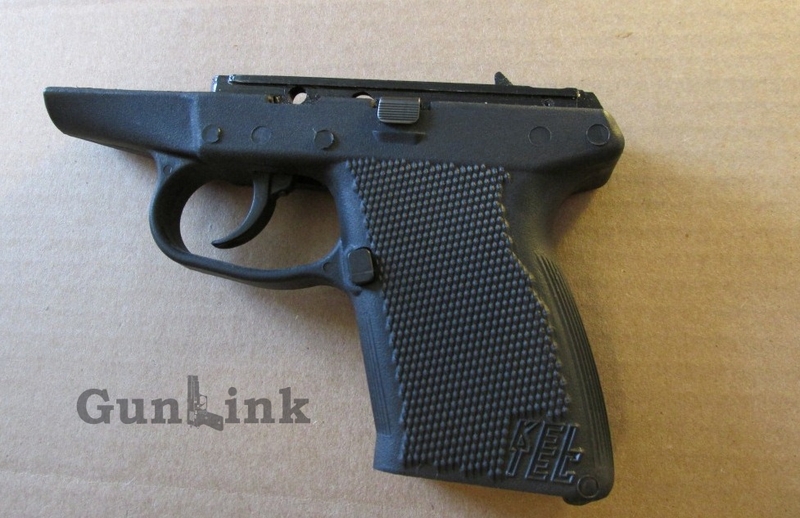 We also have a few ideas to improve comfort while holding and shooting the small pistol. Stay tuned to this thread to follow the process and feel free to weigh in with any suggestions, comments, experiences, etc. for the Kel-Tec P-11 Improvement Project. No luck on the new guide rod solving the reassembly hang-up issue. Perhaps the marred face of the rod is a result of, rather than the cause of, the hangup. What appears to be happening is that the face of the guide rod might be catching on the frame if it is not correctly positioned, which causes it to be moved from the guide rod cup to the shelf ahead of where it should be. This does not allow the barrel to fall forward far enough for the assembly pin to fit back through the cutout. 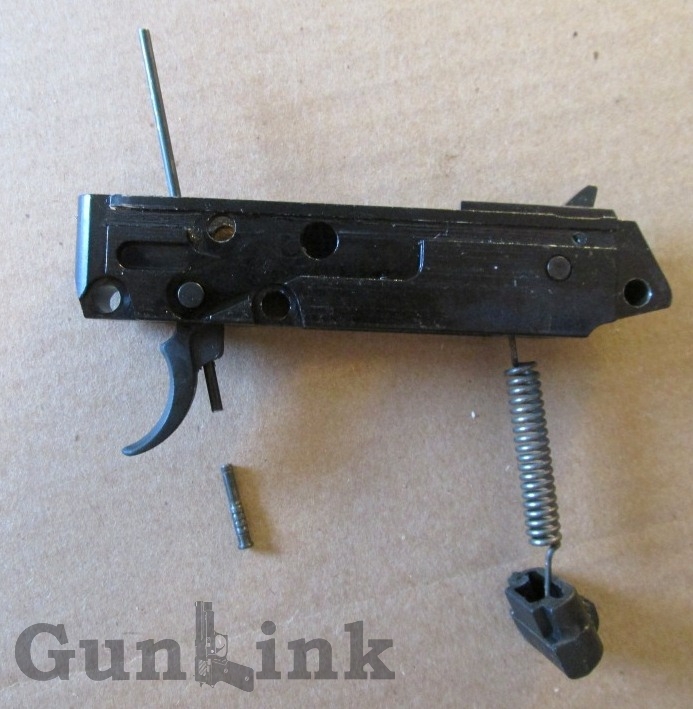 When asked if there was any particular trick to getting the guide rod positioned for reassembly to work the first time, every time, Kel-Tec customer service said "just keep it centered and flush." The first couple of times it can be tricky, but after a few times with some trial-and-error the right position for the guide rod can be figured out and it goes together relatively easy. I got a 22 pistol for my first gun to learn with. I am looking at P11 or Pf9 for a gun that will be better for defense. Are they good guns? I was looking at one. It really is a nice looking pistol. My problem is that I am a sweaty person and I slip on the trigger and end p pulling with my first knuckle. That's a problem with me, not the pistol. So far, it's been pretty solid. We're still pretty early on with this one, but there is certainly no shortage of people who EDC/CCW both of those pistols and trust them with their lives. Stay tuned to see how this one turns out. We've got several of the planned upgrades on hand and ready to install. With SHOT Show over and a little bit of a break, we should have time to get some of them going and try it out. If it ever warms up enough to shoot at our outdoor range, that is! Due to a mixup, we ended up with a KelTec Trigger Shoe in addition to the other parts we had coming. Since it is cold out and this was an easy upgrade, we went ahead and gave it a try. 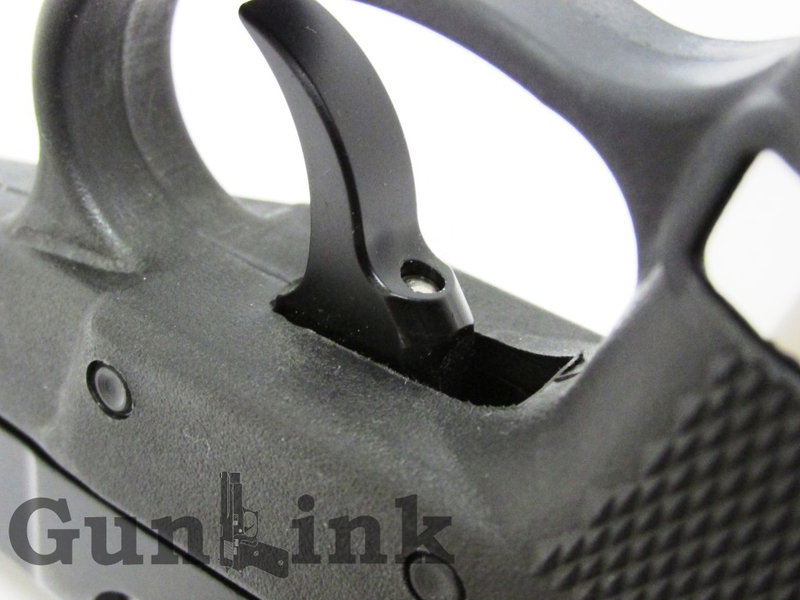 The trigger shoe slips onto the stock trigger and is held in place with two set screws. The installation is quick and easy, probably taking less than a minute, and just about triples the width of the trigger. With this added surface area, our female shooter was able to pull the trigger more easily than she was with the stock trigger, but still struggled somewhat. I thought that the big trigger shoe would be comfortable and improve the trigger pull for my big hands. Not so. 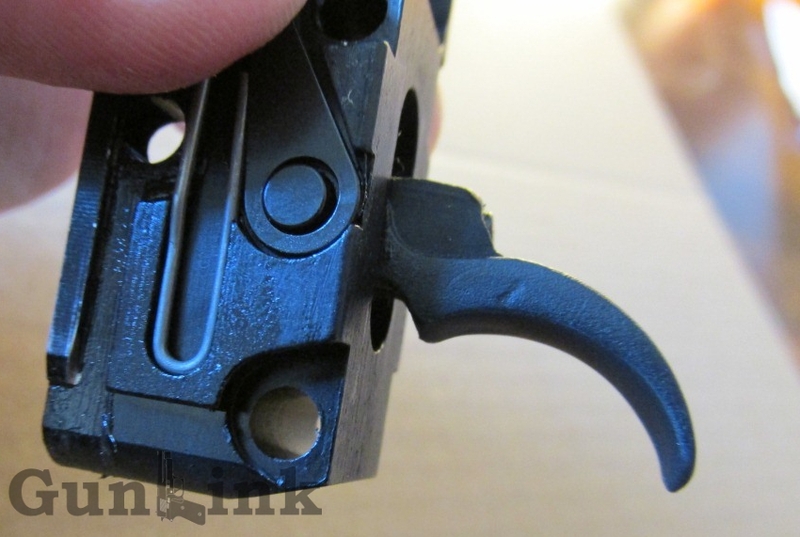 To begin with, the bottom edge of the trigger shoe is somewhat sharp and dug into the bottom of of my trigger finger even more than the stock trigger did. It also didn't make the reset any more pleasant when my finger found its way between the trigger and the guard. Some sanding would probably ease this condition, but the root issue would still be there. The more uncomfortable part of using the P-11 with the trigger shoe installed was the pinch at the top of the trigger. I didn't have this issue with the stock trigger, although many have reported experiencing this. With the shoe installed, however, nearly every shot pinched the top of my trigger finger, quickly creating a blister. So... off comes the trigger shoe. This pistol - or, rather, the magazine - exhibits the "KelTec rattle." 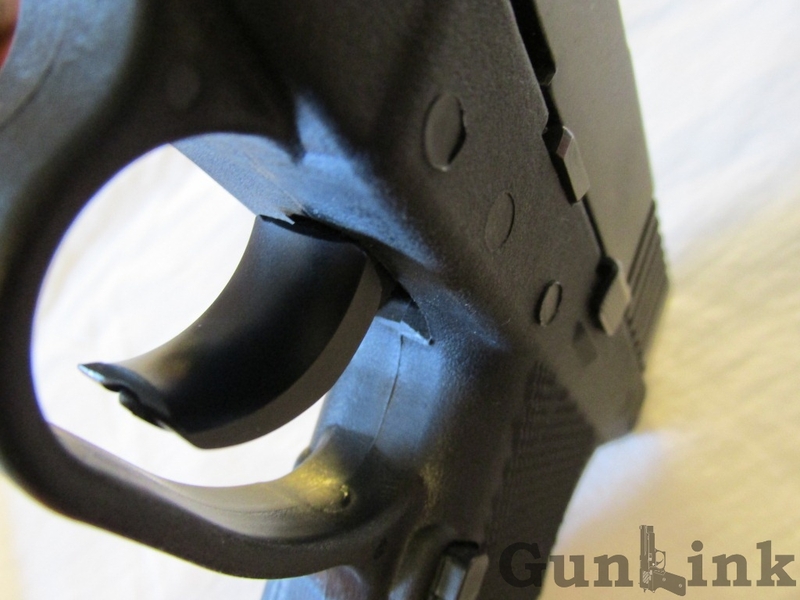 Kel-Tec ships their pistols with high quality OEM magazines produced by Mec-Gar. The P11 comes with a 10-round magazine. Loaded with 7 or fewer rounds, it's rock-solid. After inserting the 8th round, it develops a slight rattle. It gets slightly worse when the 9th round is inserted and, with 10 rounds, the rattle is quite noticeable - you can hear multiple rounds bouncing around toward the bottom of the stack. Feeding and reliability is not an issue, as it still functions just fine, but a magazine that sounds like a baby rattle doesn't do much for concealment. It's kind of a giveaway if your hip is rattling when you walk. Of course, one possibility is to only carry 7+1 rounds, but that sort of defeats the purpose of having the double-stack P-11. But fear not, there are a couple of videos circulating on the net that show a workaround to quiet your noisy magazine. This is the one that worked for me. With your magazine loaded to its 10 round capacity, you take a pencil tip or other similar sized object (I used the plug from a pair of headphones) and poke it into the 10th-round witness hole, pressing on the round. This shifts the cartridges enough to seat them and stop the rattle. However, it seems to come back after a while and the round needs to be pressed in again. Here is another video on the subject; the principle is the same but this guy uses the hole on the opposite side of the magazine. I'm not sure if my magazine is built differently or what, but it appears that the hole he uses is not in the same place on my magazine. 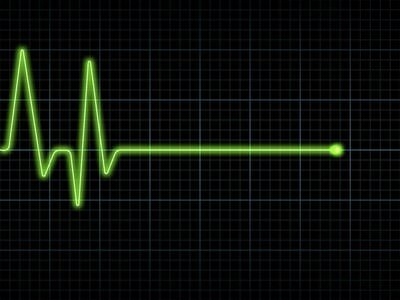 When I contacted Kel-Tec about the issue, they assured me that there was no problem as far as reliability or functionality goes. The company rep said that they are aware of the issue and that they are working with Mec-Gar to identify why it is happening and how to fix it. They also suggested to "try to find the really old S&W 59 (not 5900) series mags that also fit the P11" which, apparently, wouldn't rattle. Kel-Tec offered to replace my current noisy magazine with another current production magazine but couldn't guarantee that it wouldn't have the same issue. They also said that once the issue has been rectified, they could replace it with one of the new models if I like. OK, big improvement on the Kel-Tec P11 trigger. We got the Northwood Components trigger kit installed and it is leaps and bounds better than the stock part. It is significantly more involved to install versus the trigger shoe, but it is definitely worth it. The stock plastic trigger on the P-11 had some side-to-side wobble in it in addition to a lot of pre- and over-travel during the pull. Pops' Northwood trigger eliminated all of the wobble and almost all of the pre- and over-travel (leaving enough to ensure a good reset and break). A solid trigger is nice, but the biggest improvement is the comfort and shootability of the pistol with the new part installed. The black anodized aluminum trigger that we installed completely eliminated the pinching and rubbing on my trigger finger that the factory trigger had. 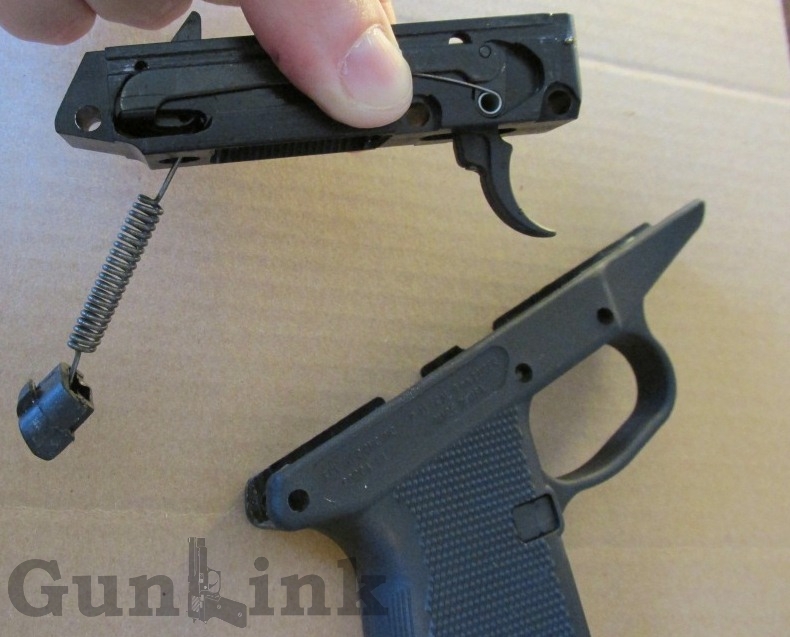 Thanks to the larger surface area, it also dramatically reduced the perceived pull weight of the trigger (note: the pull weight is not actually changed and the safety is not diminished). Our female shooter went from barely being able to even pull the stock trigger to having no problem with it. Check out our blog post on P-11 trigger improvements for more details. 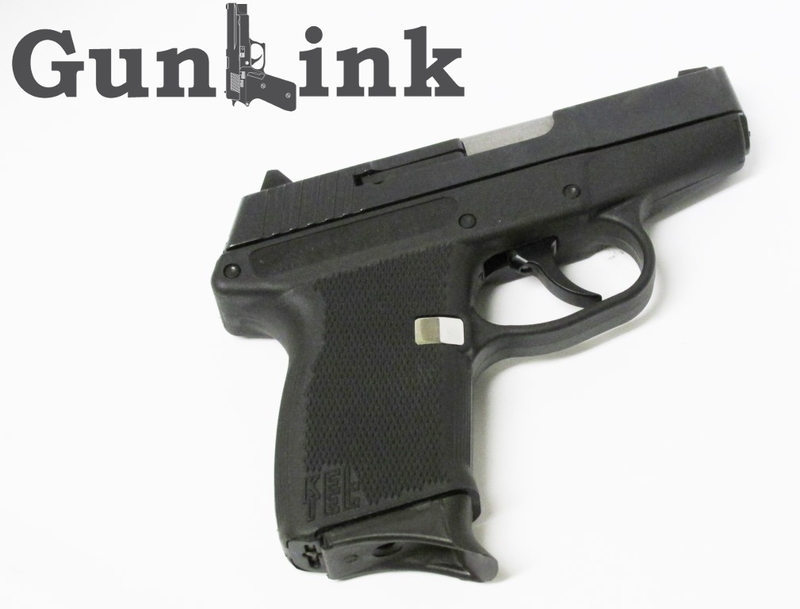 We're leaving out trigger lightening tricks (a/k/a "the paperclip trick") because a) we feel that it could diminish the safety of the firearm and b) it has the potential to lead to light primer strikes. Installation took about 1.5 hours total, including frequent coffee breaks and trips to the garage for tools, grease and other stuff that I forgot. Total work time was probably about 45 minutes. If you're not comfortable doing this type of work, you local gunsmith should be able to tackle the job in short order, but I didn't have any trouble following the instructions. Driving out the stock pin can take some serious tapping, especially if you have the barbed pin like we did. Note that you can break the plastic stock trigger on this step. You're replacing it, but if you can avoid breaking it, it could be worthwhile to keep around as a spare. 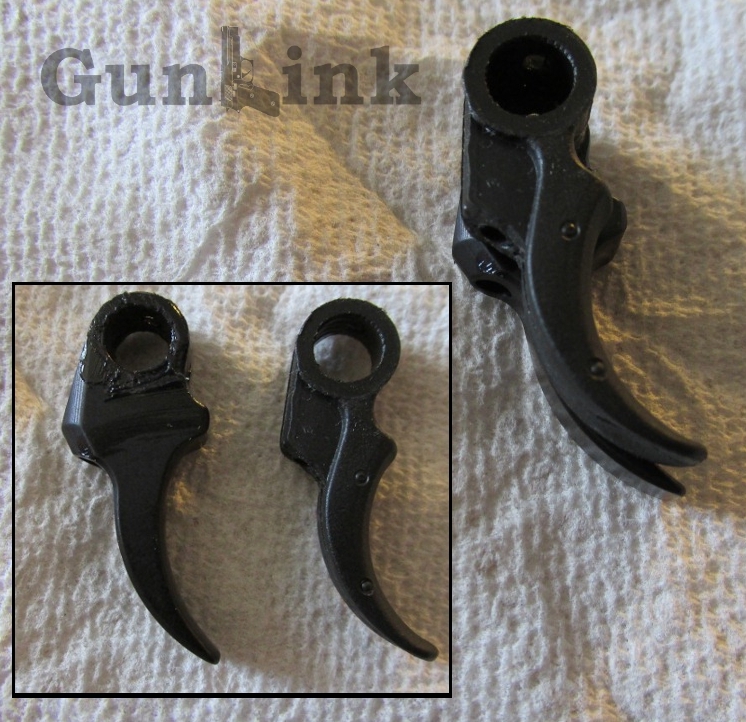 Here are the stock trigger and Pops' trigger side by side for comparison. The stock trigger is the one with the circles from the trigger shoe set screws. 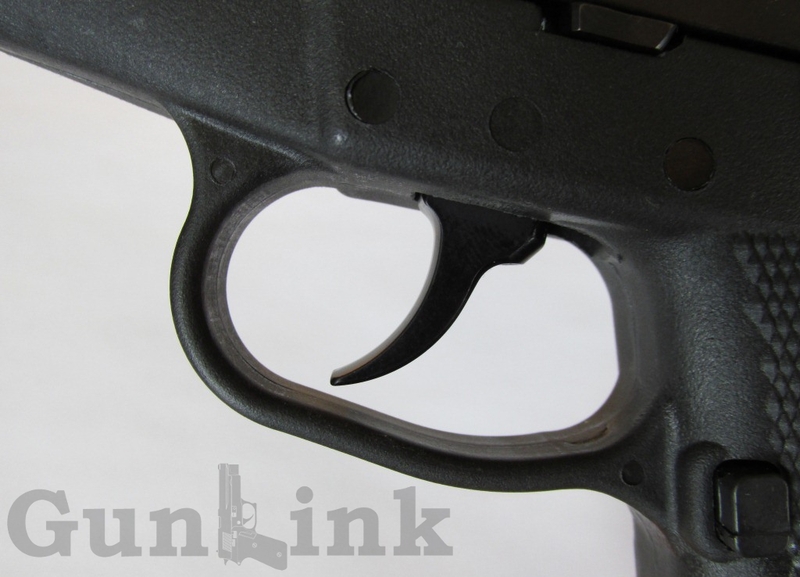 Note the gentler curve, extra length and pinch guard bump on the aluminum trigger. We should have taken the glamour shots before applying the grease. When installing, pay attention to the clearances ahead of and to the rear of the trigger axis, otherwise your trigger may not break and/or reset properly. Our trigger fit fine and had no problems with clearance on the back end when pulled. As specified in the installation instructions, we did have to remove some of the Zytel grip material ahead of the trigger to allow it to move forward far enough for reset. I used an end mill in a Dremel tool on the lowest speed and did finish work with a pocket knife. I removed approximately 3/32" of material and squared off the cutout rather than rounding it like in the instructions. Pops, creator of the Northwood Components triggers, was kind enough to provide us with a limited-use code good for 30% off at http://www.northwoodcomp.com. Code gunlink30 is only good for a limited number of uses, so "get 'em while they're hot!" Triggers are currently available for the P-11/P-40 and PF-9, but aftermarket triggers for the P-32 and P-3AT are in the works and should be available soon. If you're not a big fan of your stock KelTec trigger, this is definitely a worthwhile upgrade! 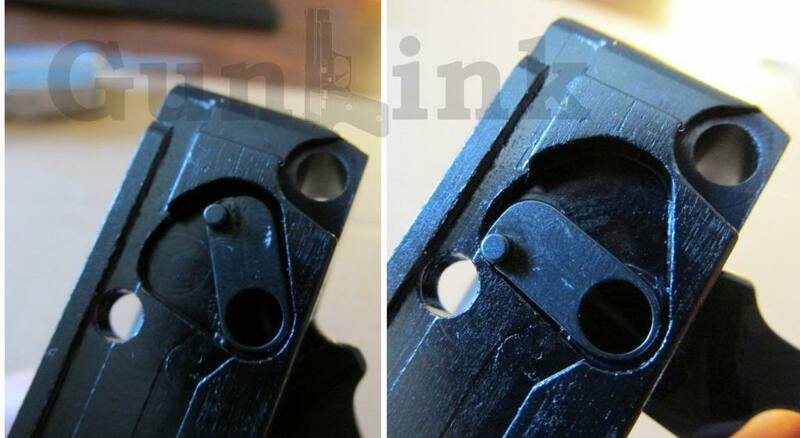 UPDATE: As mentioned above, based on the original pictures that we posted, Pops thought that the new trigger pin might not have been countersunk far enough to get a good hold on the hole in the top of the trigger pin. During installation, we erred on the side of caution for not wanting to jam up the trigger by sticking the pin out too far. While doing some other work that required removing the frame assembly, we went ahead and put it in a little bit further and found that we had plenty of room to work with at the top end. The reason this is important is so that the torsion from pulling the trigger is evenly distributed between the lower trigger hole, trigger axis and upper trigger hole (as shown on the right). 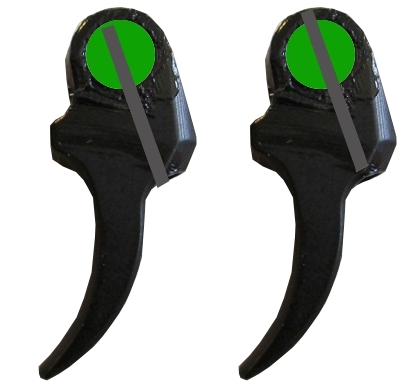 If the pin is not fully inserted so that it is flush with the top of the trigger (as shown on left), the stress of the trigger pull is fully on the lower trigger hole and the bottom part of the trigger axis, which could potentially cause early part failure. What are people doing for sights on their P-11s? The new sight kit from KelTec didn't help much - it appears that the tallest rear sight available was already installed with the lowest front sight. It still shoots consistently low without the front dot being held above the rear sight. I used to have a p11. It was an OK gun but I ended up selling it. THere is a company called twisted that makes fiber optic nite sites for keltec. also sccy sites fit P11 IIRC. I've never owned or shot one. My bro had one that was total junk but another friend of mine had one and liked it. I'll stick with my glock. 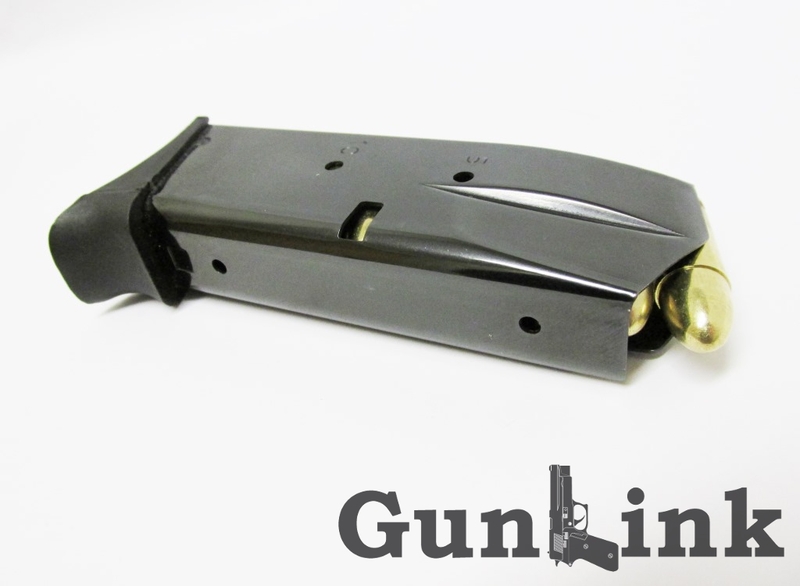 We were chatting with Gabe from Hundred Plus Custom about his steel replacement magazine catch/release. 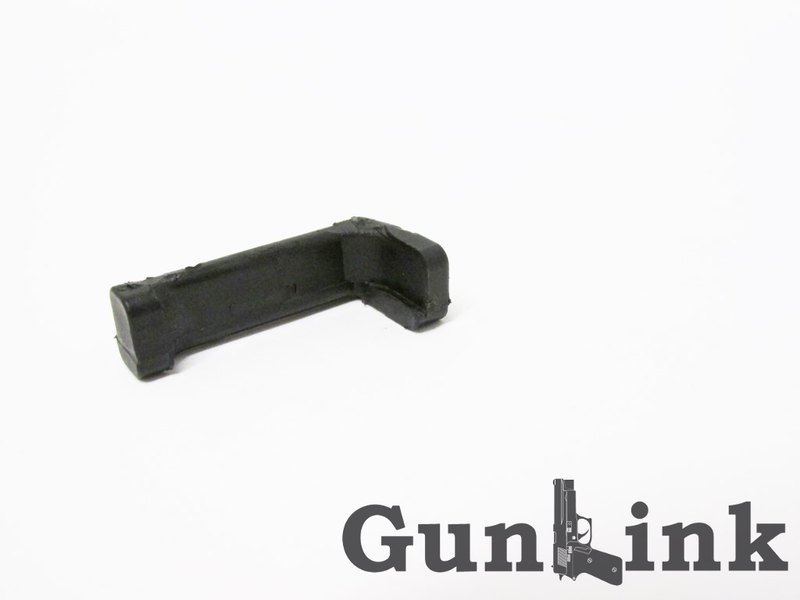 Generally, metal parts are more durable than plastic ones, but we weren't quite catching on to the reason for replacing the mag release. The magazine has a notch on it. As with most non-ambidextrous magazine releases, the KelTec's notch is on one side of the magazine (shown here on the front corner between the 5 and 10 round witness holes). Pressing the magazine release moves the catch out of the notch and allows the magazine to drop out. In the case of the KelTec P11, the magazine catch is made of plastic while the OEM Mec-Gar (and most aftermarket) magazines are steel. Gabe told us that if you shoot your P11 often (which we do), it is almost a certainty that the metal-on-plastic action of normal use will wear out the plastic release and require it to be replaced. Doing some research online indicated that this may happen even more frequently on pistols with the pinky-rest magazine extension (which we have) due to extra downward force against the catch from the magazine. Of course, a metal catch would not have that problem. While it's true that KelTec, with their great warranty and customer support, will send you a replacement plastic magazine catch if/when yous wears out, who really wants to deal with waiting on replacement parts tearing their P-11 apart (or, more costly, sending it to a gunsmith) every time the magazine starts getting loose? More importantly, for those who carry the pistol as a defensive weapon, who wants to risk drawing their weapon if they need it only to find that the magazine has dropped out at a very inopportune time? 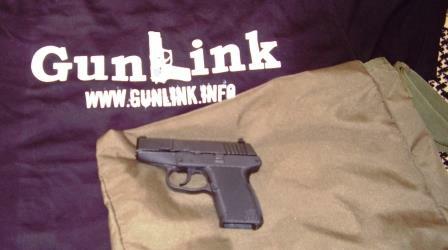 So, after learning a little more about it, a shiny new magazine catch was in the mail to GunLink HQ. And shiny it was! My first reaction when I opened up the package was that it was a beautifully machined piece of kit. Installing the part was easier than I had anticipated, especially since I already had some work to do that required taking out the frame assembly (see the trigger job post above for instructions on that). 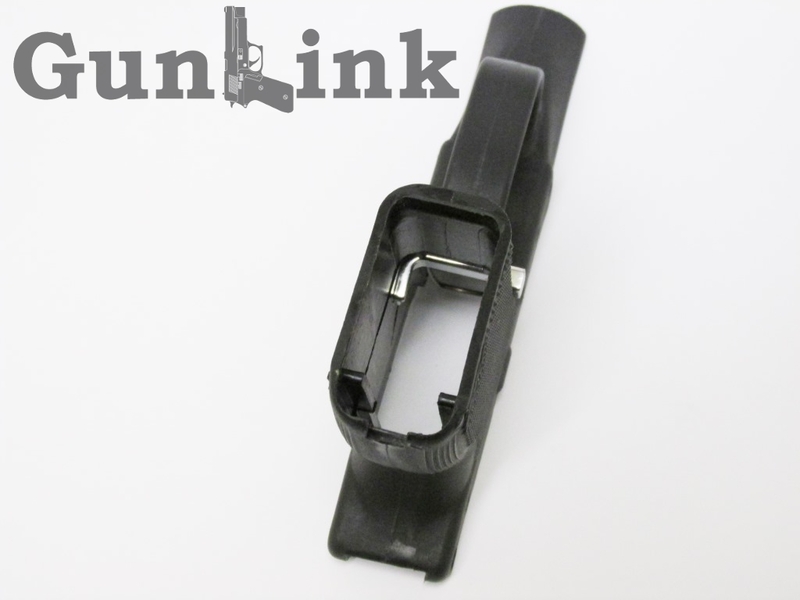 With the frame removed, the magazine catch spring slides up out of the top of the grip. With the spring out, the plastic catch slides out toward the right side of the grip. 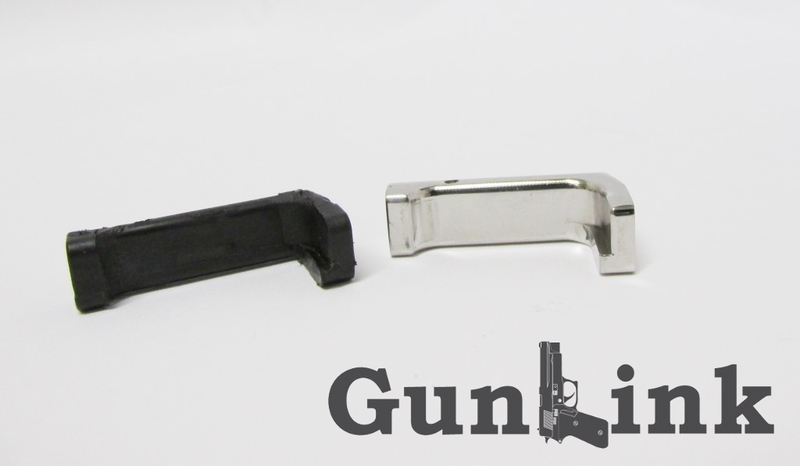 Check out the difference between the molded plastic part and the stainless Hundred Plus part. It's not hard to see how the "shelf" on the plastic part could get rounded off or worn but the steel part will hold up over time. Installation is almost the exact opposite of removing the old part. The catch slides into the grip from the right side. The hole in the top of the catch holds the longer leg of the spring. Slide the spring leg into the hole from the inside top of the grip with the rest of the spring hanging out into the magazine well, making sure that the spring is fully seated into the hole. While keeping downward pressure on the spring from the top of the grip, reach into the magazine well with your finger, compress the spring and swing it over to the groove on the front-right corner of the mag well above the catch. I was able to get it "mostly" in the groove with my finger and popped it the rest of the way in with a flat blade screwdriver. 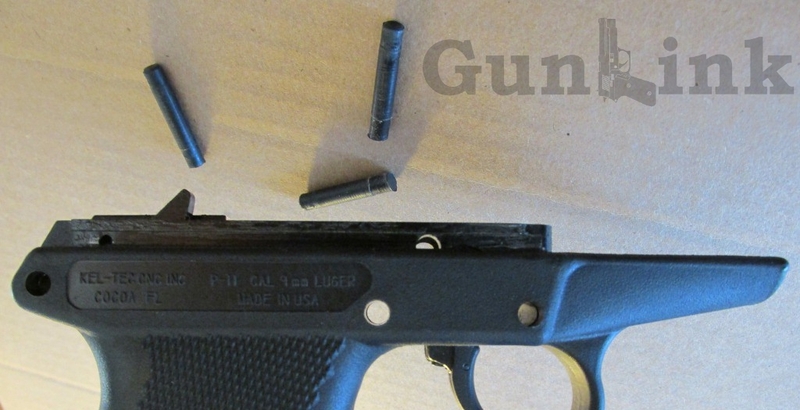 Once the catch is installed, reassemble the pistol as described above. The metal magazine catch will no doubt hold up better over time than its plastic counterpart. It also adds a nice aesthetic touch to the pistol, although a blued part would be nice since the shiny stainless does stand out against the black grip. I was initially worried about the metal catch wearing on the finish of the magazine, but then I realized that the majority of our other pistols have metal catches. On those firearms, some wear is evident above the magazine notch but the wear is very minor and only cosmetic. I imagine that the Hundred Plus catch will barely mark the black MecGar finish, let alone wear through it. With the new catch installed, it seems like I can feel it with my strong (right) hand thumb. I'm not sure if it actually sticks out farther or if I'm just paying attention since I know that I just installed it. In any case, it isn't enough to make it uncomfortable at all or to worry about accidentally releasing the magazine. To find out more or to get a steel mag catch for your P-11 or P-40, visit the Hundred Plus website or facebook page. Good reviews of add ons. How much is the total price of the finished gun and how does it compare to something like a new LC9 both before and after the modifications? 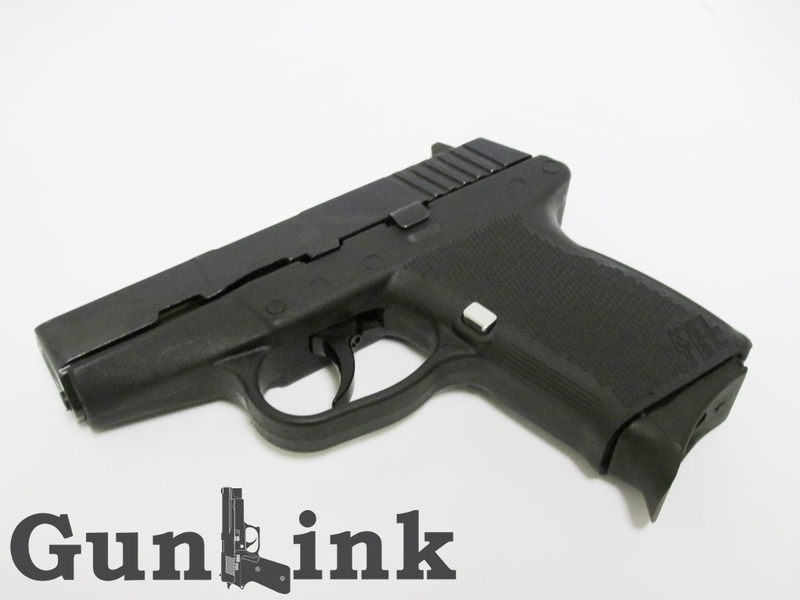 We plan on doing full reviews of the individual add-ons in the Reviews section of the forum as well as a full project overview article (or series of articles) on the GunLink Blog. Prices can vary depending on your options, where you purchase, etc. Below are MSRPs for what we've tried out so far. The Kel-Tec OEM trigger shoe is a $10 part. 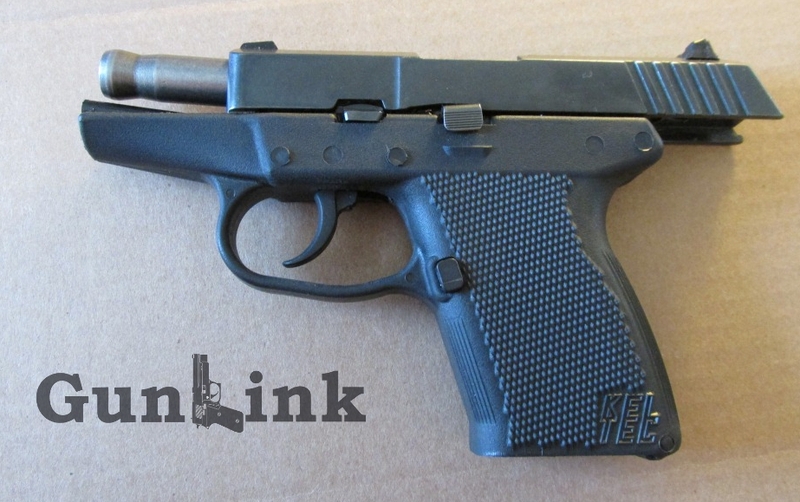 The Kel-Tec OEM grip extension "pinky rest" is a $7 part. The Kel-Tec OEM sight kit is also a $7 part, but if your pistol has sight problems they will probably send it under the warranty. 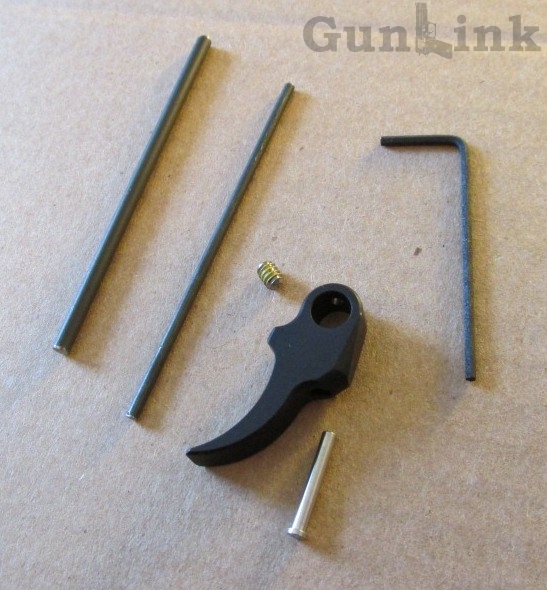 The Northwood Components trigger kit is $51 for the full P-11 kit with the black anodized trigger. You save a few dollars if you order the non-anodized trigger and save a few dollars more if you just order the parts instead of the kit (which means no punches and no hex wrench) - which can get the price down to $45. I think PF-9 prices are the same. P-3AT and P-32 prices are T.B.D. 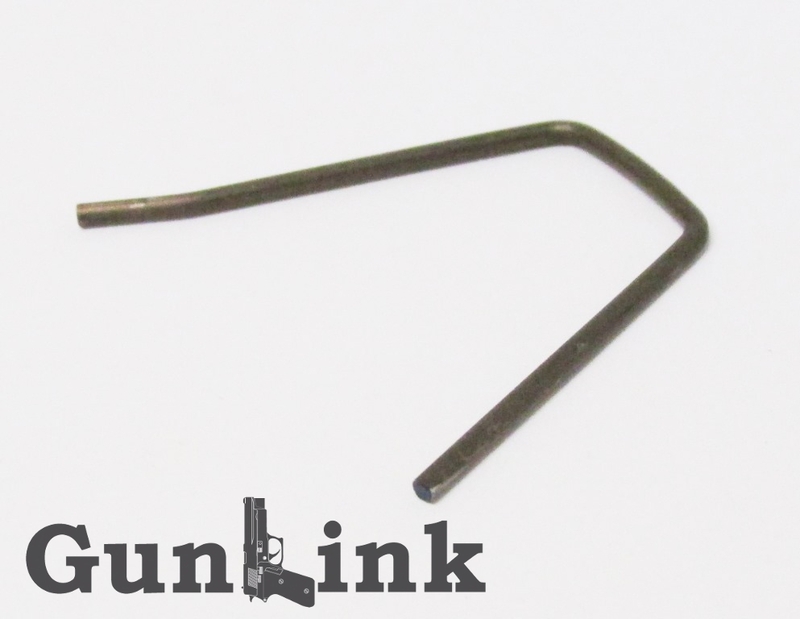 The Hunderd Plus Stainless Steel Magazine Catch is $30 + $2.50 S&H. The Kel-Tec P-11 pistol has an MSRP of $333, but prices vary depending on where you buy it, used vs new, color and finish, etc. The issues with shooting low are continuing and now the firing pin is broken. The project P11 is headed home to KelTec. Is it rattles, try smacking the backside of the mag against your hand or table top. This will seat the rounds as well. I had the PF9 for about 3 weeks. It is my personal preference that you would be better off going down to a .380 like the S&W BodyGuard. For sights, I highly recommend the factory SCCY CPX rear sights. They are cheap. metal and use a set screw and have nice, bright white dots on them and are an perfect fit! AKA: Hero Hog, Dr. Speed, "The Brass Mangler" and "That fat, old, balding, Grey-bearded gimpy guy"